Crogan Filmworks, LLC has the ability to release your feature film for a limited theatrical release in the United States. With relationships in 100+ Indie Theaters in major cities. Our team will work with you to create a limited theatrical release with cost effective P&A pricing. 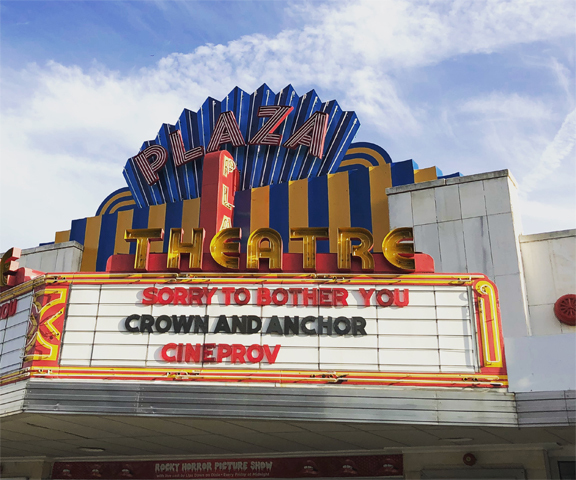 Crown and Anchor was released Theatrically in United States by Crogan Filmworks - starting Sept 12 to October 24th playing Independent Theaters in Atlanta, GA, Brooklyn, NY, Long Beach, CA, Albuquerque, NM, Portland, OR and much more. Canadian Release in Cineplex Theaters August 24th 2018. To Submit your project for a limited theatrical release consideration please fill out the form below. To be Considered the Film must be new and never released anywhere else in the world other then FILM FESTIVALS.